Registration is now closed, please call 604.987.4488 to be placed on the wait list. 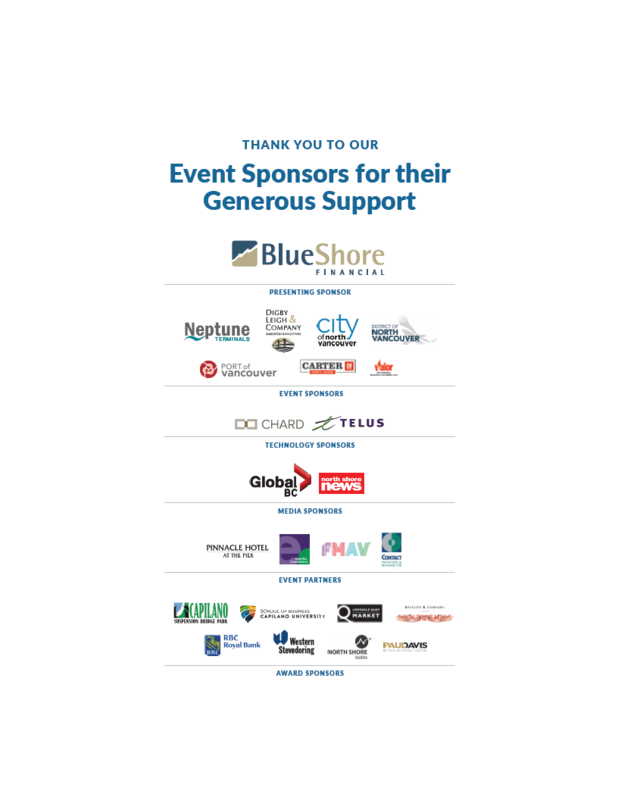 This spectacular signature event celebrates 21 years of business excellence with the outstanding members of our North Vancouver business community. This year, we are pleased to welcome Sonia Deol, Reporter/Anchor for Global News BC as our gala emcee. 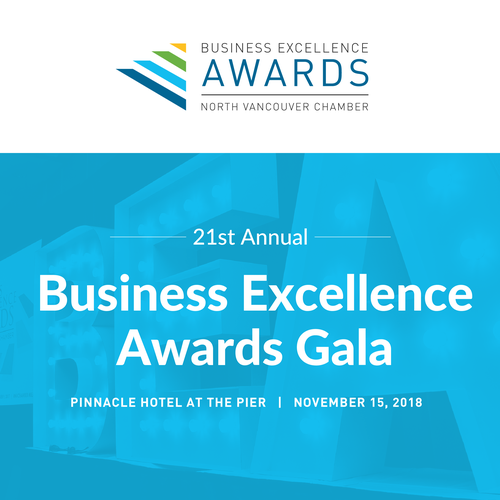 Join us as we announce the winners in six categories including Innovation, Sustainability, Service Excellence, Young Entrepreneur, Best Employer, and Business of the Year. The Gala will also serve as the premiere for a series of short films created for The Chamber by the talented students of the Capilano University Motion Picture Arts Program. These films have been created in celebration of all eighteen finalists, and are one of the evening's highlights! Ticket price includes a complimentary Champagne Reception, three-course gourmet dinner prepared by Chef Joel Green, wine to accompany dinner, and complimentary parking. Parking: Complimentary, please park under the hotel and proceed upstairs to the Ballroom Foyer. There is no need to purchase a ticket for parking or check in. Coat check is located on the main floor. Click here to view a list of the 2018 Finalists. Click here to view photos from the 2018 #NVChamberBEA Finalist Celebration. Registration deadline: November 8th if not sold out. Cancellations must be received 5 business days prior to the event to receive a full refund.